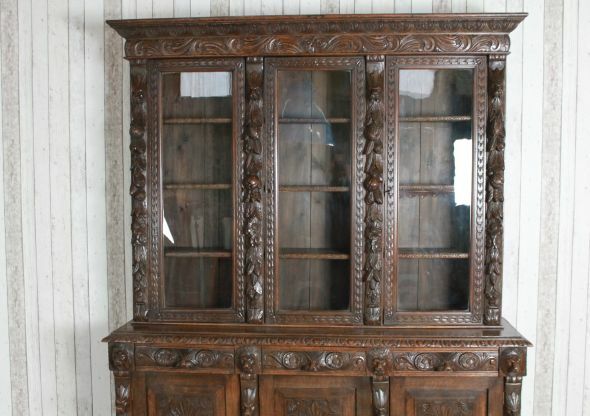 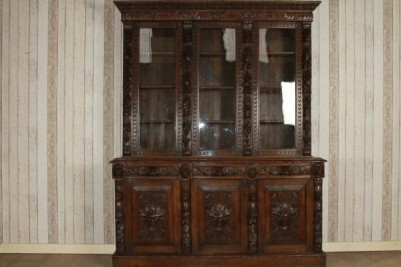 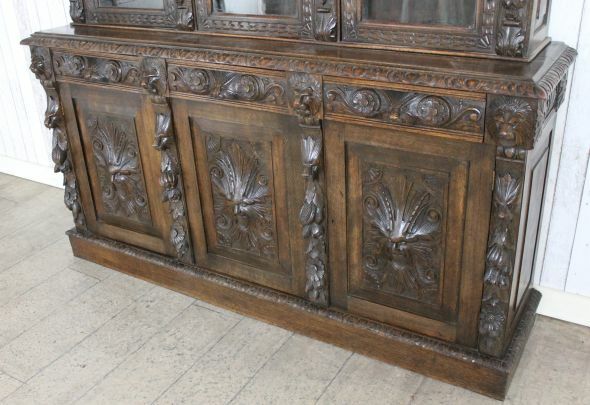 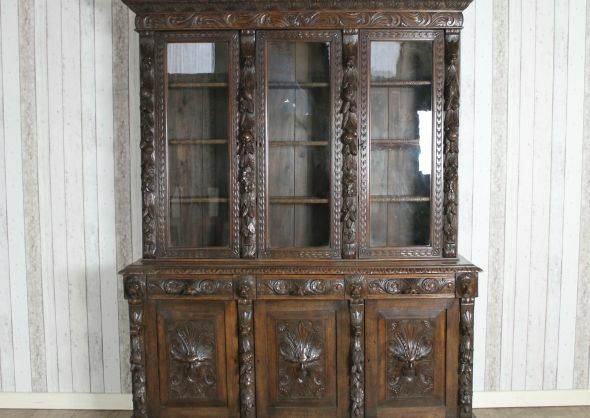 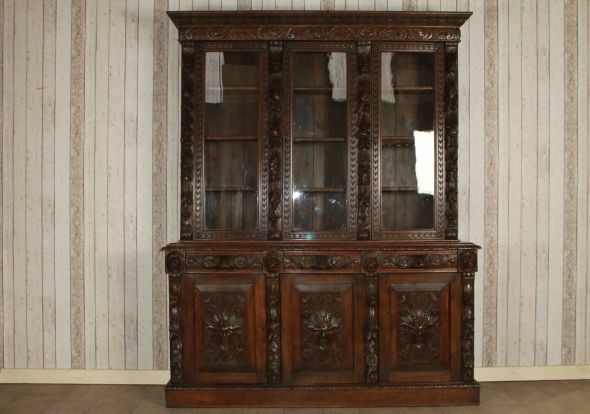 A truly magnificent piece of carved Victorian furniture, this outstanding solid oak three door library bookcase features magnificent carving to top cornice, door fronts and drawer fronts. 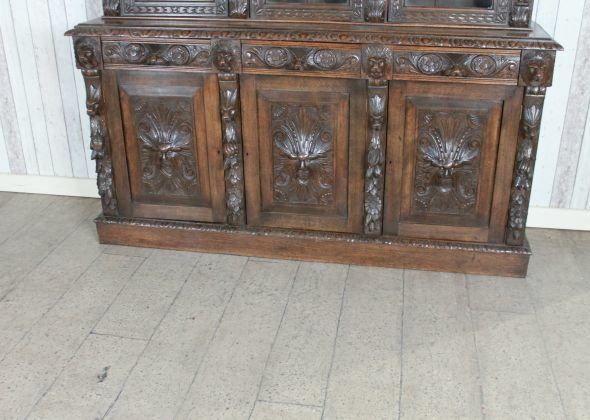 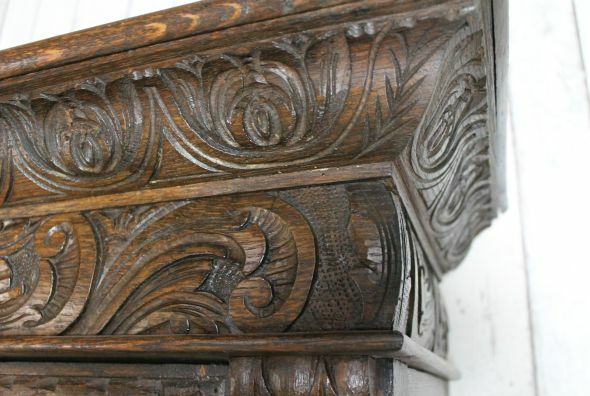 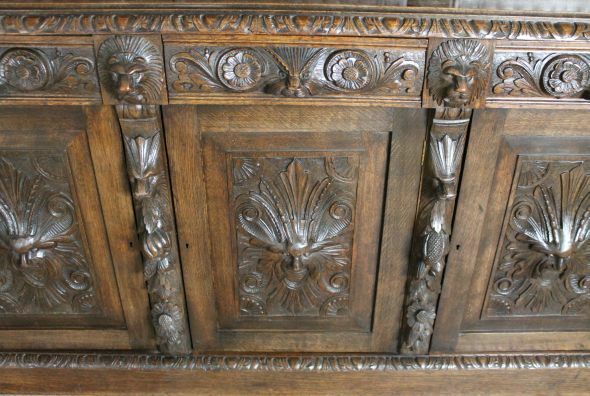 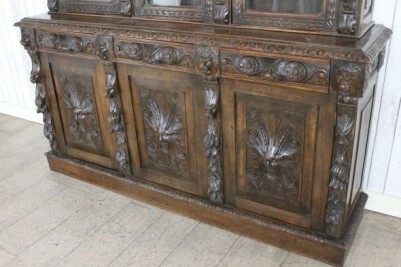 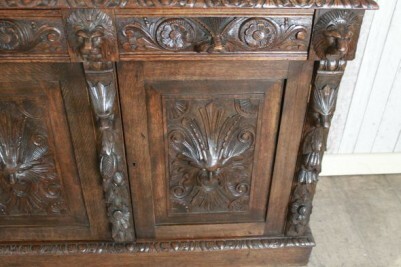 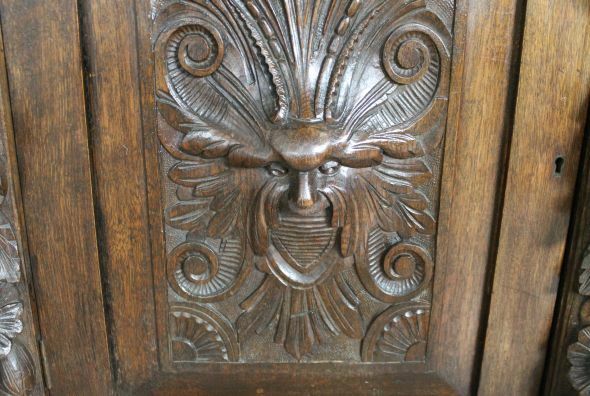 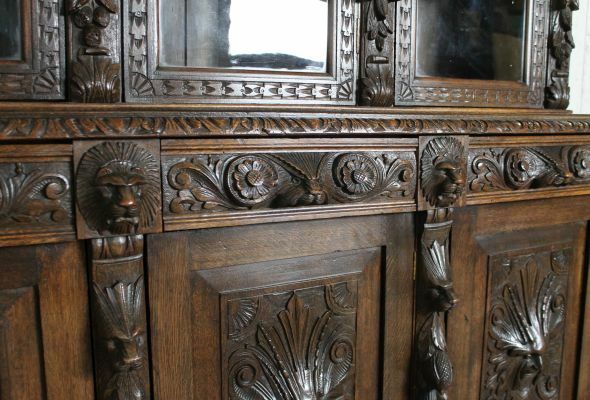 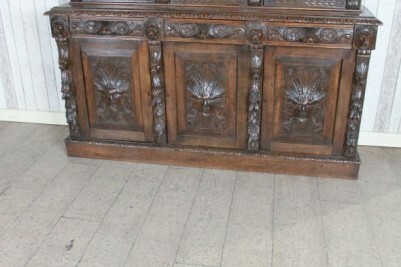 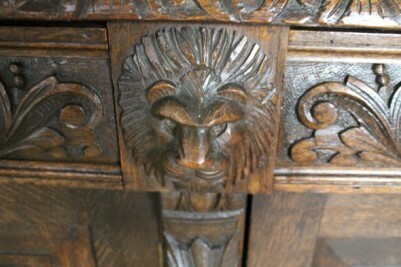 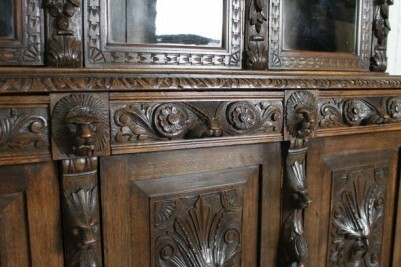 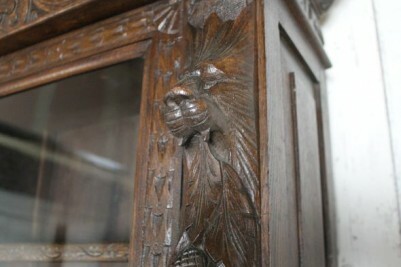 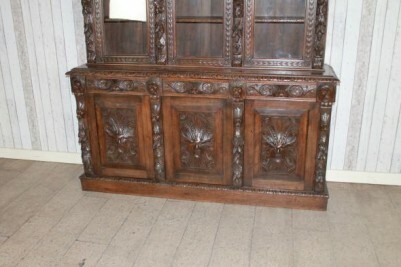 If you look at the detailed photographs that we have provided, you can see just how magnificent the carving is. 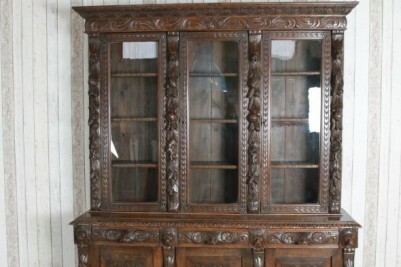 The bookcase is in good condition, but does show small signs of wear and tear due to daily use. 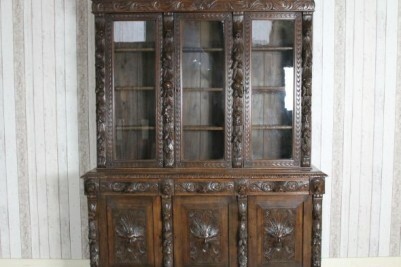 Sadly, the bookcase only comes with one key which we feel is a replacement. 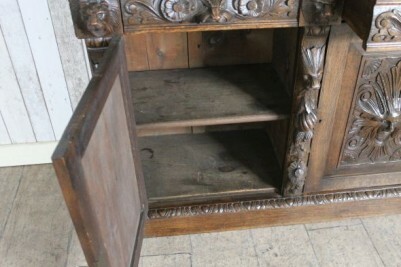 The key only fits the bottom doors. 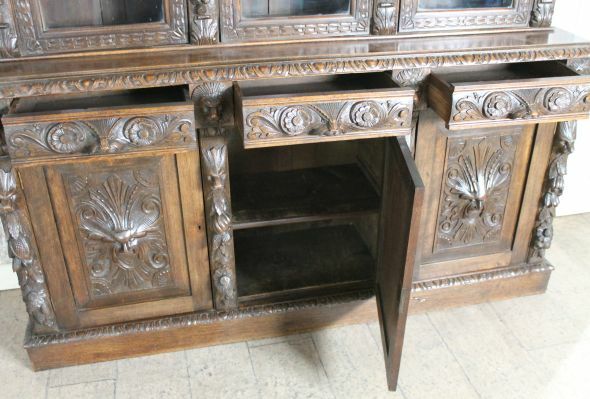 The bookcase breaks down into two separate pieces for ease of transportation and reassembly.